This is the last pattern from my 2011 Easter collection: Easter basket with eggs. The basket made with lovely shell stitch pattern. Size is cca. 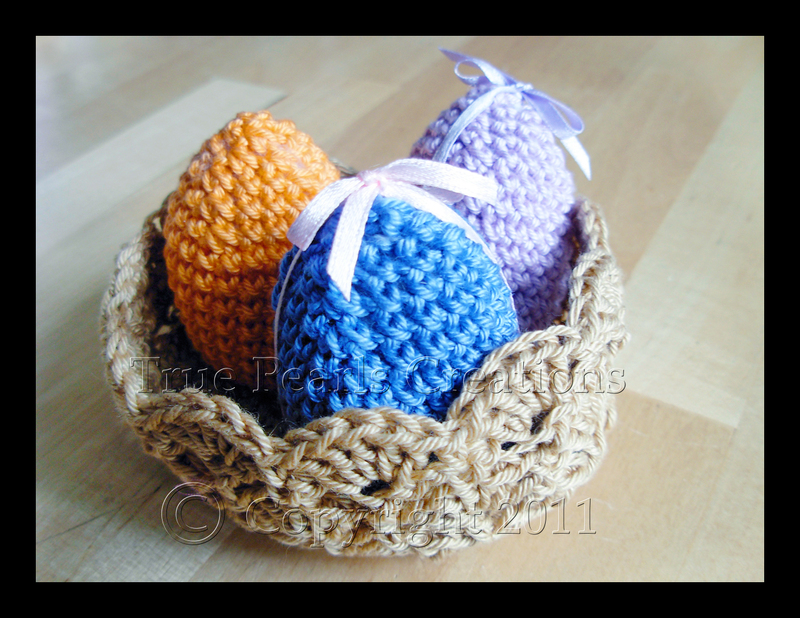 10cm x 7cm oval shape, makes home for 3 crochet eggs. The eggs sizes cca. 6cm, pick up your own choice on colouring and decorating. Nice piece on your Easter Fest table or for gift.